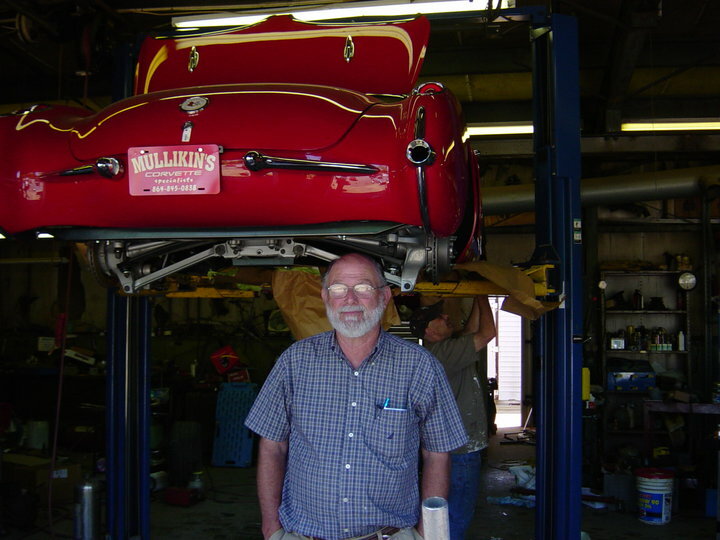 Since the late 1950’s, Mullikin’s Corvette Specialists in Greenville, SC has provided full service Corvette repair, restoration, parts and service for 1953 to present model Corvettes. Located in Piedmont, SC, Mullikin’s Corvette Specialists is the largest Corvette salvage yard in the Upstate and you can find us at many of the country’s top Corvette and Classic Car Shows. With almost 50 years experience, the story began in Greenville, SC in 1958 when David Mullikin, Sr. got his hands on his brother’s 1956 Corvette. Although not old enough drive, his talent was quickly recognized. From his early teens, David Sr. has invested over 50 years into his craft and is widely recognized as one of the most gifted Corvette enthusiasts in the country. With the apple not falling far from the tree, David Jr. joined the family business as a teenager and now brings over 20 years of experience to the Mullikin’s Corvette legacy. David, Sr. oversees the body and paint facilities and David, Jr. tends to all of the mechanical needs of their clients.